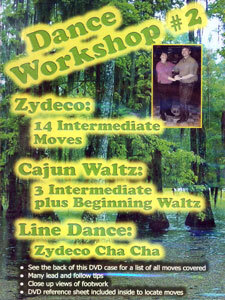 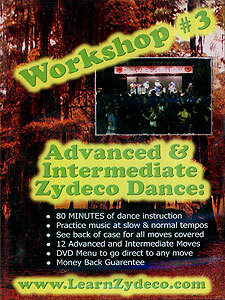 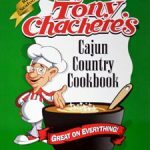 Instructor Greg Benusa is back with his third volume of Louisiana Dance Home School. 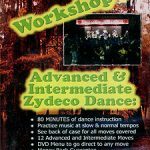 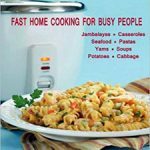 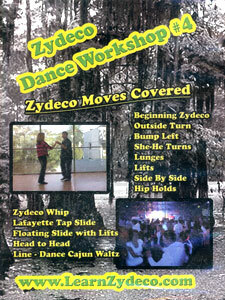 Over 80 minutes of dance instruction, including the Floating Slide, Lafayette Tap Slide, Inside Turn to Open Position, Walk Throughs, 180’s Counter Clock Wise, Zydeco Washing Machine, and many more (12 advanced and intermediate moves in all). 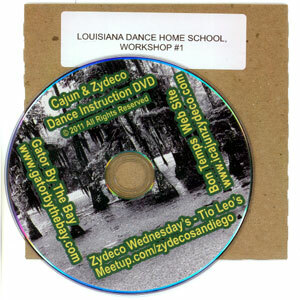 The DVD menu lets you go directly to any move, making it quick & easy to get where you need to go.